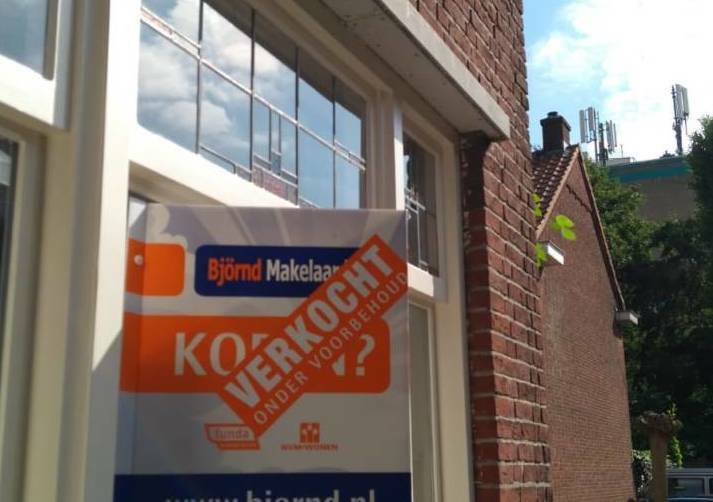 The Dutch housing market is becoming more balanced but there is still a shortage of properties for sale, the Dutch real estate agency association NVM said on Thursday. The average price paid for a house in the first three months of 2019 fell €5,000 to €294,000 compared with the final quarter of 2018, the NVM said, adding that prices were stable when adjusted for the types of properties being sold. The number of homes changing hands fell 3.2% year on year. At the same time, the number of houses available per potential buyer rose slightly to 3.9. Despite this, ‘the market does not have enough supply and sellers are still able to make the rules,’ chairman Ger Jaarsma said. On Wednesday, economists at ABN Amro said there are increasingly strong signals that the Dutch housing market is beginning to cool down. House prices are rising less sharply and the number of properties changing hands is decreasing, which indicate falling confidence in the market, economist Philip Bekeloh said. Consumers, he said, don’t consider this to be the right time to buy a new house and the decline in supply means it is harder to find a suitable and affordable home.